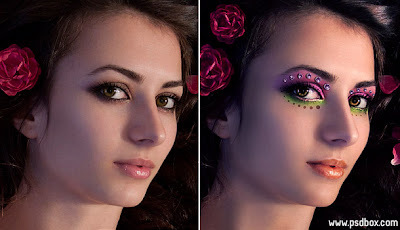 In this tutorial I’ll show you basic beauty retouching techniques that will help you enhance a portrait image. You will learn how to clear blemishes from the skin, how to apply makeup and enhance feature like the eyes or lips. Going beyond the “normal” retouching process we will show you how to add more glamour to your portrait by adding eyelids jewels using stock images.